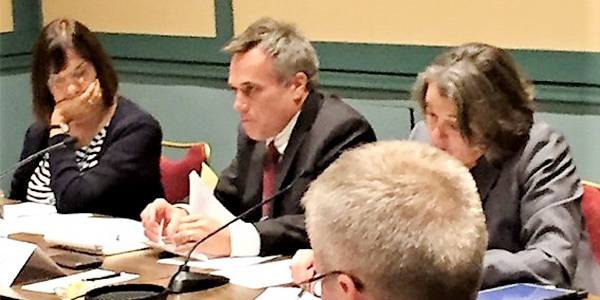 ORLANDO, Fla. — MISO, SPP and their stakeholders have been flummoxed in recent years by market coordination, interregional planning and other issues across the grid operators’ seam. Now, the regulators are stepping in. On Sunday, state regulators from MISO’s Organization of MISO States and SPP’s Regional State Committee met with staff from both RTOs and other interested stakeholders on the sidelines of the annual meeting of the National Association of Regulatory Utility Commissioners. 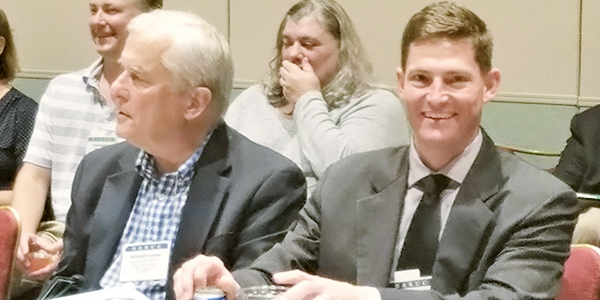 Two of the more interested participants were FERC Commissioner Cheryl LaFleur and Iowa Utilities Board Member Nick Wagner, NARUC’s newly installed president. LaFleur praised the two committees and their engagement with their RTOs. “It’s only logical these would be the two groups best to engage and put your heads together on the issues between the seams,” she said. “We’ve seen issues on other seams. It’s not a novel issue,” Wagner said, referring to the PJM-MISO seam. 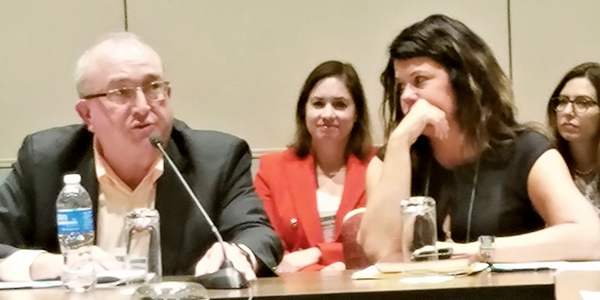 Hall represents the OMS on the committee along with Louisiana’s Lambert Boissiere, North Dakota’s Julie Fedorchak and Minnesota’s Matt Schuerger. Kansas’ Shari Feist Albrecht, South Dakota’s Kristie Fiegen, Arkansas’ Kim O’Guinn and Texas’ DeAnn Walker represent the RSC. Wagner is an ex officio member. 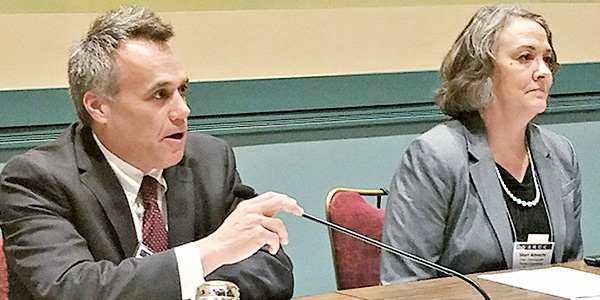 The liaison committee — “or task force, or whatever we’re calling ourselves,” Hall said — reviewed a draft white paper it had requested from MISO and SPP staff. Working with regulatory staffers, the grid operators were to identify barriers to more efficient seams operations and transmission planning, offering solutions whenever possible. Calling the white paper a “foundational document,” Hall said he expects to request additional information from MISO and SPP and solicit stakeholder comments. The white paper itself will eventually be made public, although the committee is uncertain how it will do so. Both the OMS and RSC have created web pages for the group. 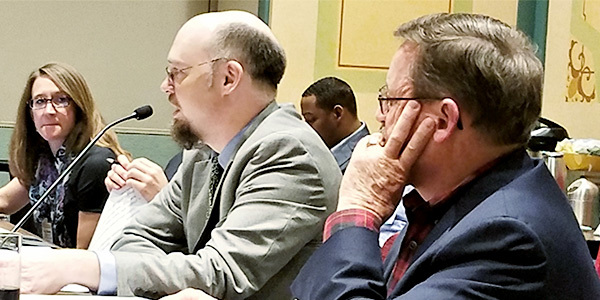 Adam McKinnie, a Missouri PSC economist who works with both committees, framed the white paper as a means of better understanding the dynamics of issues on the seam. He said its strength was in discussing the history behind previous interregional planning efforts, improvements to the M2M process, contract path capacity sharing and flowgate allocation. The M2M process determines which party has exceeded its allowed usage of an overloaded transmission element. The grid operator over its allotment is required to find a solution that relieves the congestion. “If MISO is paying SPP, it’s because it’s cheaper than a transmission solution,” McKinnie said. The usage allotment is based on metrics that date back to 2004. Staff agreed the process needs to be updated, but the RTOs continue to negotiate how to revise the allotment. The grid operators also face a 2020 renegotiation of their joint operating agreement, in place since 2004. The JOA has been amended “many times” since then, McKinnie said, including implementation of the M2M payments and a FERC Order 1000 compliance filing. The grid operators also have a memorandum of understanding that guides the M2M process. “There seems to be some talking past each other,” Schuerger pointed out. “We have worked to close the gap,” said Melissa Seymour, MISO’s executive director of customer and state affairs for the Central region. Seymour pointed to the “significant amount of time” MISO staff have spent with SPP in preventing another occurrence of the January event, when severe cold weather and generation shortfalls in MISO South led MISO to exceed its regional dispatch limit on transfers across SPP’s system between its northern and southern footprints. When MISO was forced to declare a maximum generation alert in September, the grid operators agreed communications across the seams was improved. “They don’t do a good job of telling their story,” McKinnie said.